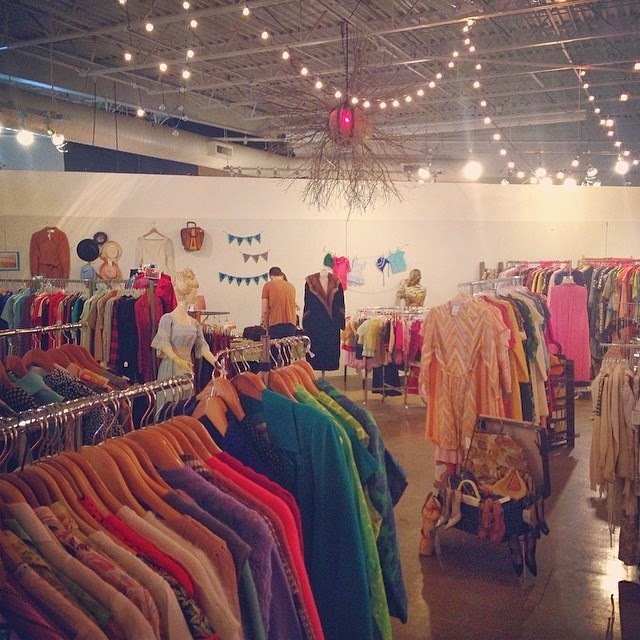 Two weekends ago was the Rust Belt Vintage Clothing Pop Up Shop -- my first show as founder and organizer. It was a pretty big undertaking, but I am SO glad that I did it. While I absolutely love my home state, Michigan doesn't offer many opportunities to sell vintage clothing in person; something I am working on changing! 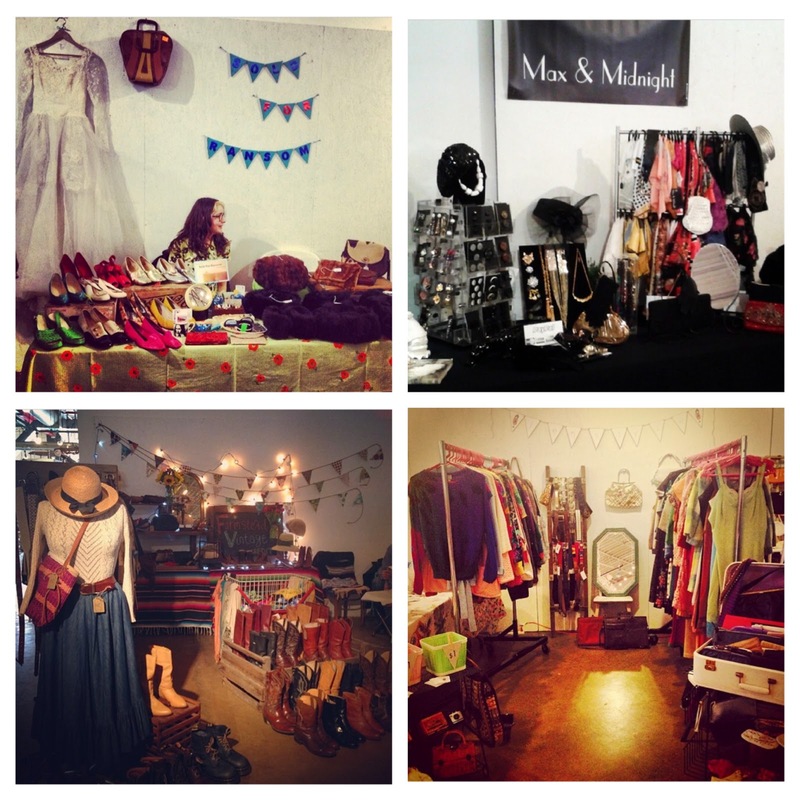 I had ten fabulous vintage clothing vendors that offered a wide range of vintage. From women's, mens, children's, 1940s to the 1980s, we had you covered! The show took place in the event space, a large open room, at the Rust Belt Market. 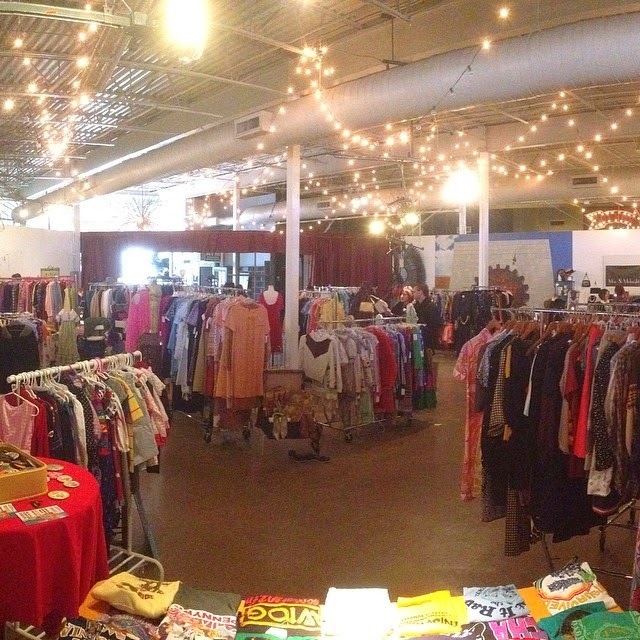 My goal was to create something similar to many of the other vintage clothing shows I see taking place around the country: a large open room with lots of vintage dealers with no dividers other than clothing racks. I feel I was pretty successful in creating that kind of environment and couldn't have been happier with the way everyone's booth turned out. The room looked great! Much to my relief, the show was a success with several of the dealers asking to do another one. I'm so excited! And, am already starting to think about the summer show! The layout looks awesome!! I was so bummed that I couldn't make it to this, so I hope you all can put together another one! It was such a fun show, and I can't wait for the next one! Thanks for hosting & putting together such an awesome mix of sellers!